We boast a cozy and clean environment with a great social atmosphere and friendly staff. Best of all our 8 person Jacuzzi for you to relax and unwind. 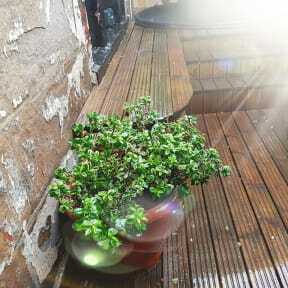 Hot Tub Hostel is located in the Charing Cross area of Glasgow, just between the city centre and the trendy west end. The location is ideal for the backpacker who is up for a night out on town, being a stone’s throw away from Glasgow’s Sauchiehall Street. Glasgow is a city that caters for all tastes. From rock concerts to the circus, something is always going on. A world centre for the performing and visual arts, Glasgow offers some of the most awe-inspiring theatres. 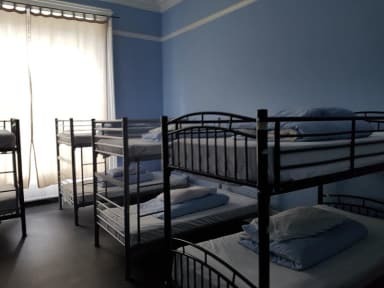 We offer comfortable mixed dormitory rooms, shared toilets and showers, a comfortable common area, a 8 person Jacuzzi and deck area, free WiFi, Lockers, Towels and 24 hour reception. Our dorms range from 4 to 12 beds, something for everyone. Everything you need in a hostel! Age restriction: 18-35 years of age, no children allowed. This will be strictly enforced. All guests must have valid passport or EU ID card to check in. Only UK driving licenses accepted. All guests must pay a £5.00 cash key deposit at check in. Only registered guests allowed in hostel. Awesome hostel with a great atmosphere. Ended up spending a lot of my time at the hostel across the road as they are owned by the same people and there were more people staying there. They have a gorgeous dog as well! I stayed at Hot Tub Hostel as a place to crash after a night out so all I really needed was a bed and a shower. For that purpose the place was perfect - place was clean, bed was comfy (although a little squeaky) and the shower was not bad. Only points to note is that they’re currently not taking card so have cash to pay on arrival - there’s an ATM around the corner if you forget. And that you have to check in and out at the Clyde hostel directly across the road. Great Value - thanks! Central location, about a 20 minute walk from the Queen Street rail station or the Buchanan Bus Station. It's a good value; the staff makes the place. A decent little hostel to stay out in the west side of the city, short enough walks to surrounding attractions. Hostel was pretty neat and clean and the rooms were comfy and what you would expect from a backpackers stop over like this. Didn’t get to use the hot tub but was definitely tempting. Clyde the dog is always a welcome addition when you’re hanging around. Very enjoyable stay the staff made me welcome from the start. Clean and a very nice sleep. Hot Tub Hostel is a good place to stay if all you need is a place to sleep for a night before moving on in the morning, but not much more. There are two toilets for the hostel, neither of which lock. There are two showers in a separate area of the hostel; my group and I skipped using them. The place is far from the city centre and you need to walk quite a bit. You can literally see through bathroom door which does not make me feel safe at all. Instead of running the hot tub, maybe change the bathroom door first. The staff is not always there, I have to wait for like 20mins until someone can check me in. The kitchen and the common area is not very clean either and the room is very cold.